"The “Champs de Cri” is an important parcel of 2.3 hectares known in Les Loges as the site that produces the most elegant and long-lived of the wines of this appellation. Deschamps’ holdings are exclusively old vines with an average age of 55 years (as of 2012). 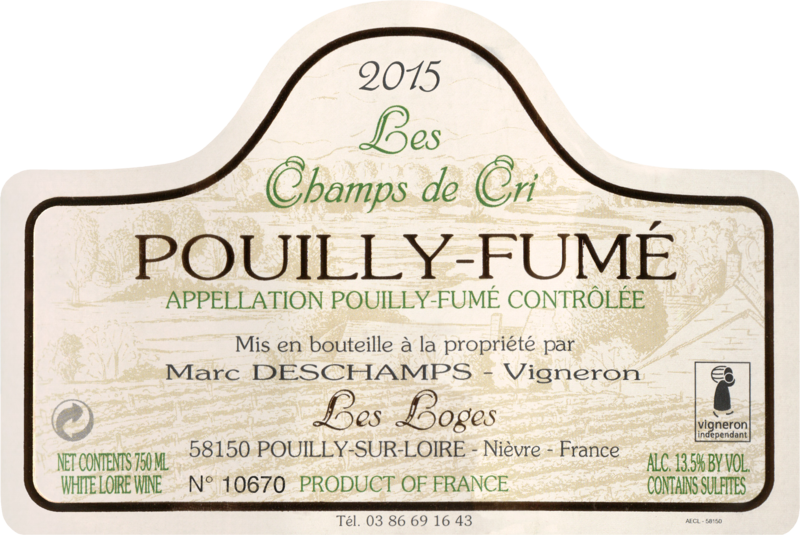 Out of respect for the complexity and depth of this wine, Deschamps leaves this wine in contact with the lees for several months more than his other cuvées and it is released for sale later than the other wines of the estate. It is frequently marked by notes of bitter orange, jasmine and beeswax. We are privileged to be allocated 6000 or so bottles per annum for the US market. 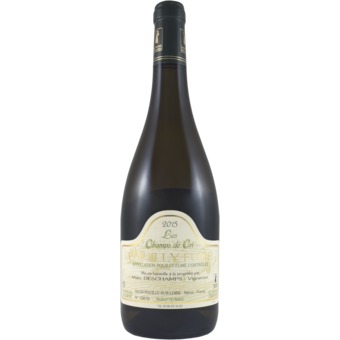 "For several generations this domaine was the property of the Figeat family, most recently under the supervision of Paul Figeat, the long-time mayor of Pouilly Sur Loire. I made my first visit to the little hamlet of Les Loges, hard on the banks of the Loire, in early 1982, and immediately began working with Paul Figeat, our first vintage being the rather spare and lean 1980. Marc Deschamps worked in collaboration with Monsieur Figeat at that time and continued to do so for over a decade, tending the vineyards and crafting the wine. Upon Paul Figeat’s untimely death in 1991 in an auto accident, Marc Deschamps purchased the domaine from the estate. Since that time he has modernized the equipment and continued to add to the well-placed vineyard holdings. More importantly, our long-term relationship and mutual regard for the nuances of the terroir of Pouilly Fumé resulted in the delineation of numerous small cuvées based on the specific lieu-dits that are being exploited.